Back in February, Google Now was rolled out to desktop Chrome Beta browser users, but now, it’s being shipped to everyone. With Google Now on your desktop, users have access to the same exact cards as they do on their mobile devices, including flights, shipping notices, sports scores, and so much more. To enable this feature, no extra settings need to be played with except for making sure you are signed into Chrome using the same email as you are on your phone. Once the feature hits your machine, notifications and cards will start popping up in your system notification tray automatically. Google states that this feature will begin popping up for users over the next couple of weeks. 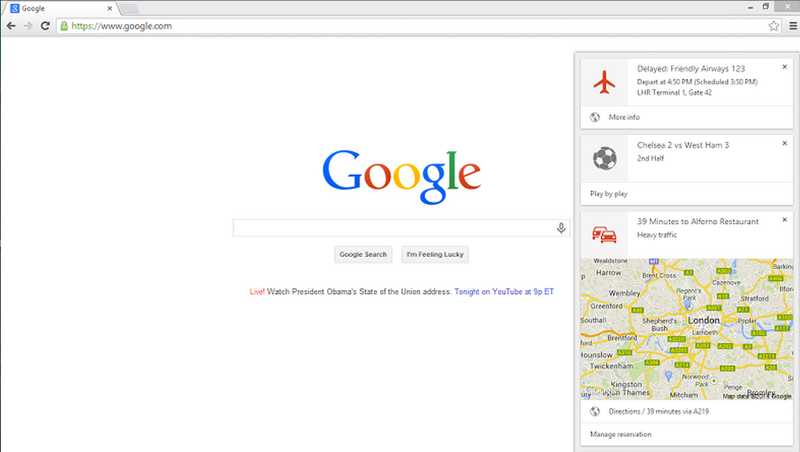 If you don’t see Google Now on your desktop yet, hang in there, it’s coming.